Romania’s ex-King Michael I has died in Aubonne, Switzerland, aged 96. Last year, the former monarch was diagnosed with cancer. 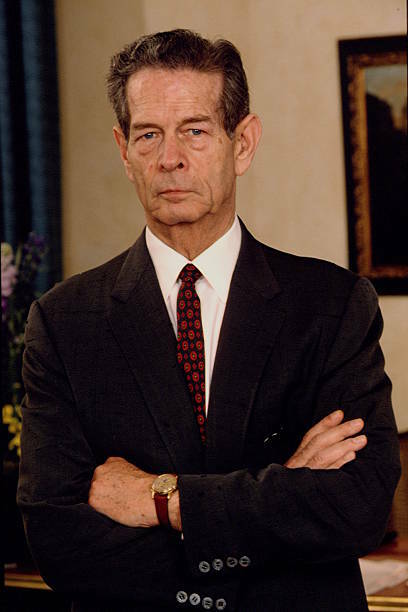 King Michael of Romania ruled the country twice, from 1927 to 1930 and then from 1940 to 1947, before the communist government ended the monarchy. The monarch was one of the last surviving World War Two leaders, but lived much of his life in exile. King Michael, a cousin of Queen Elizabeth II, is best remembered for his role in making Romania change sides, from the Nazis to the Allies, in August 1944. His death was announced by his family at his home on the shore of Lake Geneva on December 5. The former king had been ill for some time and was unable to attend the funeral of his wife Queen Anne, in Romania in 2016. He was just five when he ascended to the throne for the first time in 1927. His father Carol had renounced his rights to the throne and left Romania several years earlier amid a scandal over a love affair. His father returned in 1930, and replaced King Michael as monarch. However, King Carol II was ousted in 1940 by a military government led by general Ion Antonescu and his son once again took the throne. In 1944, at the age of 22, King Michael became involved in a coup against Ion Antonescu and sided Romania with the Allies. After World War Two, King Michael was forced to abdicate by the country’s communists, who ruled until the revolution of 1989. The communist leaders threatened to carry out mass executions if he refused to go. Michael went into exile until the 1990s when he returned to Romania after the fall of the country’s communist leader, Nicolae Ceausescu. The Romanian royal family settled near Geneva in Switzerland, and Michael had to find work. In 1948, he married Anne of Bourbon-Parma, whom he had met at the wedding of the future Queen Elizabeth II and the Duke of Edinburgh in London in 1947. King Michael got back his Romanian citizenship in 1997.